This is a product for Fibonacci fans. 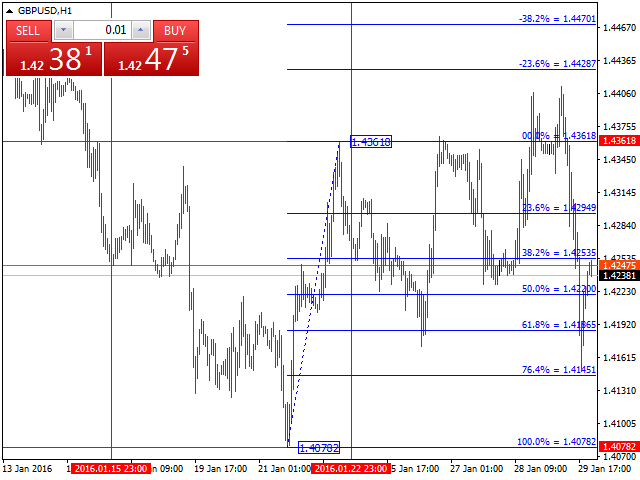 Fibonacci is a tool mostly used to define support/resistance levels and decide on market entries and exits. The responsibility of this indicator is to manage Fibonacci Retracement of the last week. Product is especially developed for H1 and D1 chart. This indicator maintains Fibonacci retracement of last week High to Low where trader will find exact support/resistance levels. In this indicator, some extra levels are added. If you found any discrepancy, please contact me. Im not a fan of Indicators. But this is a must have!!! if you know anything about fibo this Indicator will make you money. Thank you for your creation. I Love It.